My eyes filled with awe and wonderment as I gazed upon this stupendous vista of a pink tide which surged ahead, unfazed by the hub of industrial chimneys and electrical towers. It was a colony of pink Flamingos – tens and thousands of them, all drifting further on the mudflats since the tide had gone in. 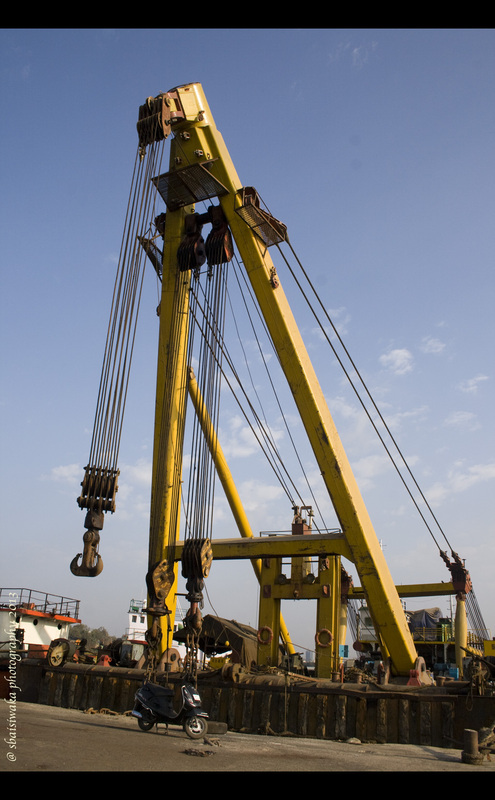 The sighting was at Sewri (East) which is an industrial hub of modern Mumbai. A short walk down a winding lane full of industrial complexes and you come upon a dead-end which overlooks the Arabian sea. Rusting, dilapidated boat skeletons resting in the swamp like mud, visible now as the tide had receded, while a big boat stood with its huge anchors suspended in the sea breeze. And all across in the horizon, one can see these pink beauties wading forth, looking for the blue-green algae – their prime source of food (apart from brine shrimps, molluscs, insects, etc) and color. The carotenoids in this algae is what gives the Flamingos their Pink color. In fact, Flamingos in the wild have a deeper, richer color than the ones bred in captivity – all due to their consumption of this algae.The younger ones or the chicks are brown and white in color and turn pink gradually as they ingest more and more of the blue-green algae. 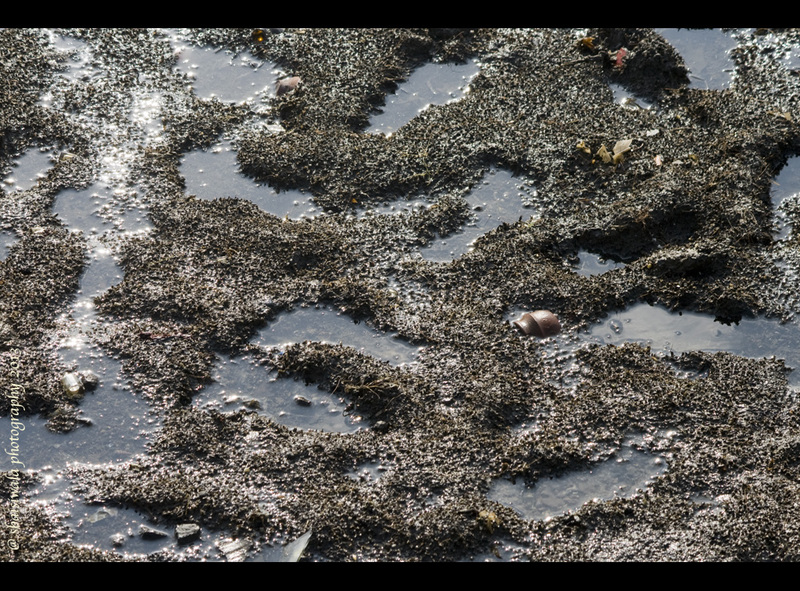 Once the tide recedes, the algae and other food items become accessible for feeding. The Flamingos have a unique system of ingesting food. They put their heads upside down in the swamp bed and take in water which gets “filtered” by the unique filaments in their beaks. The “food” stays in the mouth, while the rest flows out. It’s an amazing sight to see scores of these beautiful and large creatures, standing with their heads inverted in the sand. Typically, the Flamingos used to (and still do) migrate to the Rann of Kutch in Gujrat every year for breeding and feeding. But since a few years, they have started to patronise a few spots in neighbouring Maharashtra as well. 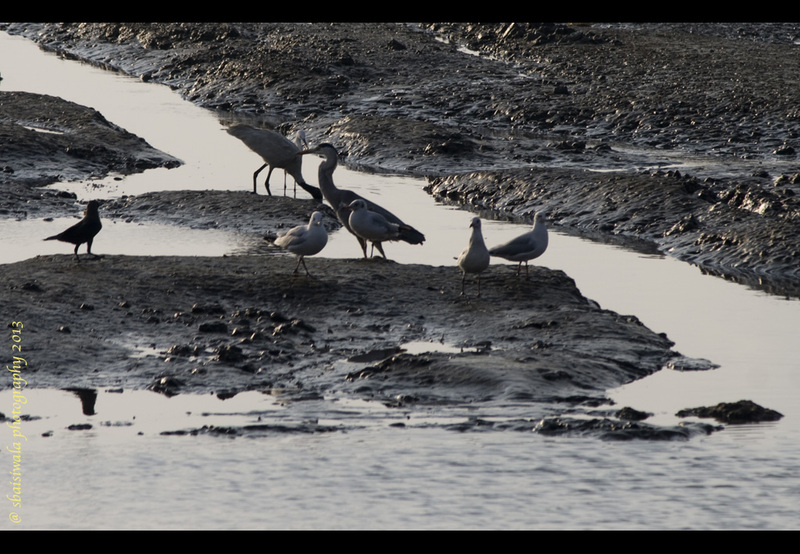 Sewri is one such spot favoured by them and the Bombay Natural History Society (BNHS) conducts observations walks and educates the participants with nuggets of info about these birds. They also carry binoculars which they set up for easy viewing of the birds. Apart from the Flamingos, they also identify and talk about other “waders” in the vicinity. I attended one such walk and was very impressed by the attendance as well as the BNHS leaders. We spotted herons, sandpipers, egrets, cranes, wagtails, swallows and some others. Most of the waders have such excellent camouflage that if the BNHS team hadn’t pointed them out, we would have surely missed spotting them. Since the water had receded, we saw other things which are such a part and parcel of this bio diversity of life. A pair of boys on wooden boards, skated in among the swampy muds. When we enquired from BNHS, we were told that they are fishermen who are wading in to check on their traps as they catch crabs and other sea life for food and selling. 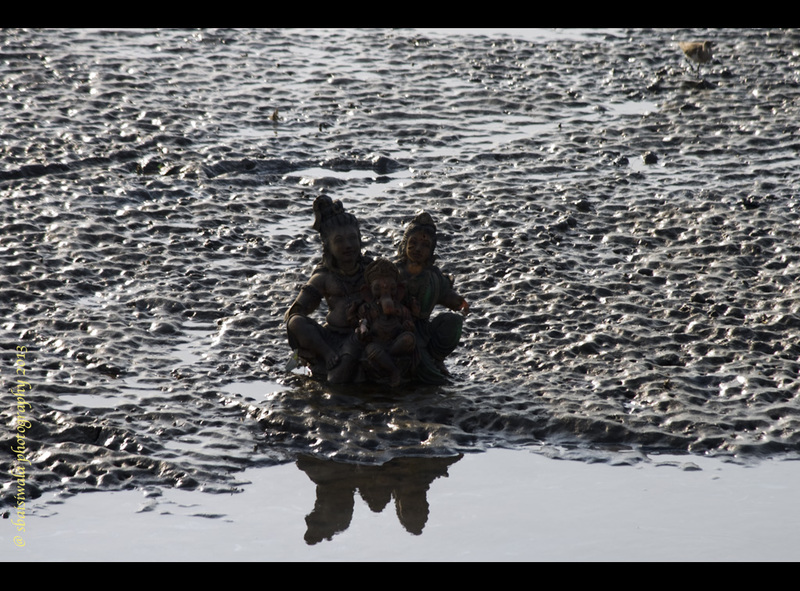 A statue of Shiva-Parvati with Ganesh in their lap was partially submerged in the sands. This must have been part of a “visarjan” at some point of time in Mumbai and must have drifted in with the tide. Seemed like as auspicious blessing to our morning walk!! 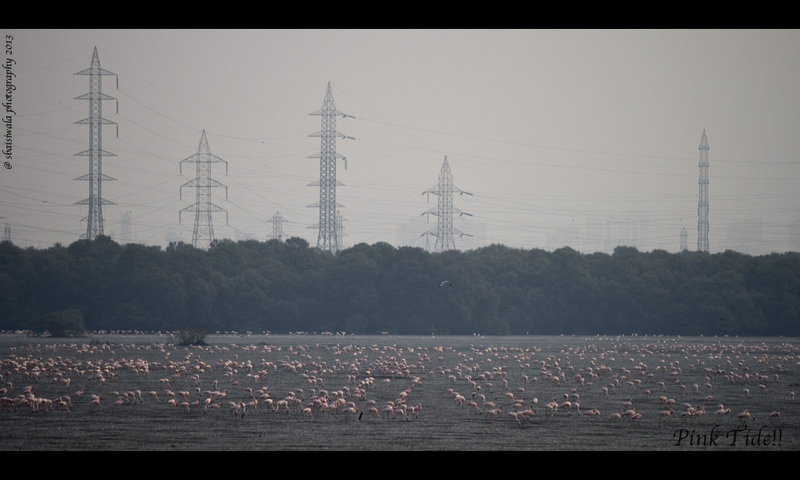 When we had reached at around 8.00 a.m., the Flamingos had just started to drift inwards towards the sea and within an hour had moved so far in, that they were barely visible. I think a good time to observe these birds should be just when the high tide is setting in. Thats when they start to move towards the shore, and on full high tide, they fly back over the water to float in flocks. 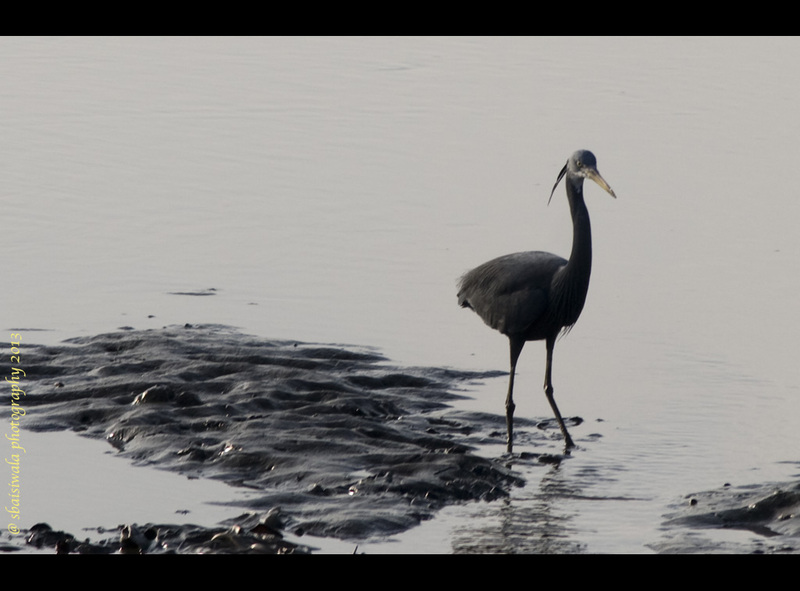 For my next trip to Sewri, I plan to go around the time high tide starts so as to better capture these birds. And yes, I would need a bigger zoom lens as well. * BNHS conducts these walks on a routine basis. Member charges 100/- & non member charges were 150/-. Keep a check on their website or Facebook page for further info on this. * Sewri East station on the Harbour line is the start point of this walk. * Taxi, car, scooter, etc can be taken all the way in till the viewing point and there is plenty of parking. * If one wants to go on their own, check for the tide timings on the net. * A powerful binocular and a zoom lens of about 400mm is the minimum one requires to be able to view and capture these gorgeous birds. I am very flattered by your award and kicked to know that you are one of my readers. Thank you so much. Now let me attempt to carry this forward. Thank you so much. Pls do come again and read more. Thank you for the kind words – hope you find the time to go through more of my posts. Would love to know what you think of them. Next Post Stop over @ Rawla Narlai!